Rich in detail, functional and innovative from the off, the Claas Xerion 5000 Trac VC is the sixth tractor to join WIKING?s successful series of die-cast models. WIKING continues to raise its international profile with this series and to improve its reputation for covering themes among collectors. And the Claas Xerion is no less lacking in inner worth: the 1:32 model with its high-quality construction is utterly convincing as an extremely versatile system vehicle. 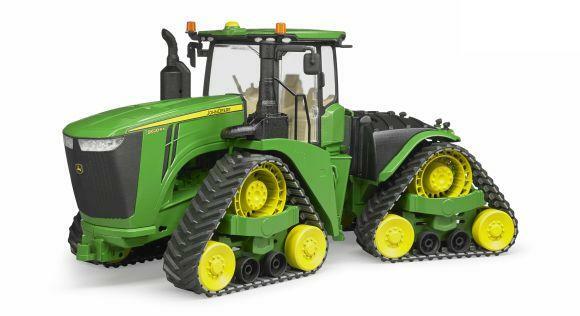 The Claas Xerion is accompanied by a new 1:32 model with the precision detailing representative of the die-cast series. There is no doubting the premium quality of this exclusively handmade die-cast model which is made from a combination of painted zinc die-cast components and finely moulded plastic elements. The impressive level of detail makes the model perfect.